Quick quiz: He is the world’s third-richest person and the second-richest billionaire in the United States, after Bill Gates. Who is he? If you’ve not been living under a rock for the past couple of decades, you surely know who Warren Buffett is. You might not know that he was only 11 years old, when he bought his first stock—and he still managed to turn a profit. We’re putting in our two cents here, though: When you digest the “never” in this tip, don’t get caught up in immediacy. It doesn’t necessarily mean “don’t lose money on a single trade.” It means, don’t lose money at the end of the day. Every investor has taken a loss. The trick here is to stay sober and keep emotion from guiding your investment decisions. Be smart, stay informed and don’t ‘gamble.’ Avoid temptation, because as soon as you feel something that can be described as ‘tempting,’ it’s emotion talking. Everyone will lose in the beginning, because that’s part of the learning curve. You have to be ready to accept these losses. These losses are investments in your education. What’s important here is that when you emerge, it’s with more money than you started with. Never lose—overall. We appreciate the ‘never lose’ sentiment, coming from a man who made his first stock win as an 11-year-old boy—but not everyone is a Warren Buffet and learning curves are varied. Avoid funding your trading account with loans. What’s the point of risking someone else’s money and possibly piling up debts to pay for whimsical trades, when you don’t have a hundred dollars in the bank? This is where we kindly remind you to put a borrowing limit on yourself, before you start trading and even before you create and fund your own trading account. That’s how you’ll know your maximum possible losses. And, you’ll remember to stick to rule #1, which you should never, ever forget, according to our favorite self-made billionaire and the second-richest person in the U.S.
“Limit the borrowing” also means: don’t tap into your rainy-day funds and don’t use credit cards to finance a venture that is way riskier to take when the money is not yours to spend. Instead, try taking on (and winning over) the trades, one step at a time, with funds over which you have control. These are real wins and lasting wins. If you need some help saving up for your trading account, check out our blog post with some tips on funding your account. That’s Buffett’s way. 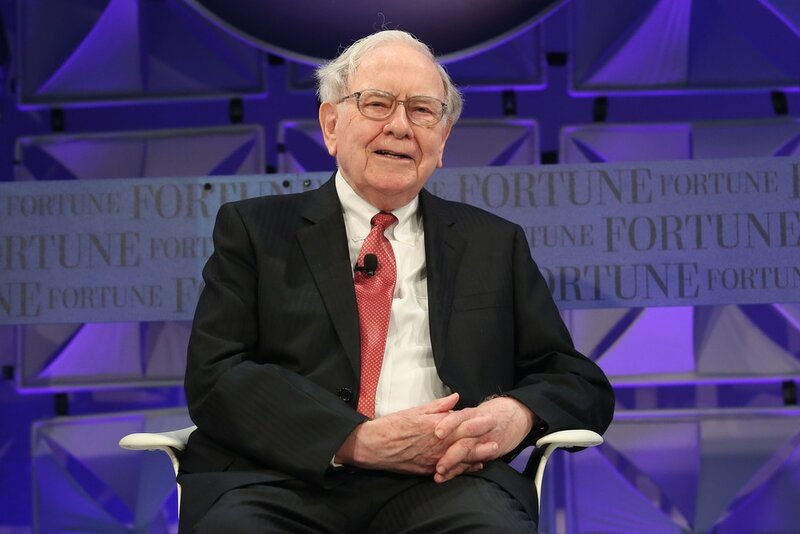 Even though his net worth, as of the end of September 2016 is a mind-boggling US$65.1 billion, Buffett lives in a modest home in his native city of Omaha, Nebraska. He has been getting a base annual salary of US$100,000 from Berkshire Hathaway for the past 25 years. Our take? First, have your expenses covered. Then, enjoy life the way you want to. If your perspective is that success means working just a few hours a day, rather than slaving away at a 9-to-5 job, that’s fine. If it’s about buying a luxury sports car, that’s also fine. The point is, be happy with your choices, do what you love and love what you do. Don’t spend to spend and never spend to show off. Buffett is optimistic about markets and investments and sees opportunities in bull and bear markets alike. Take this piece of advice and know that prolonged bear market runs can present exciting and lucrative opportunities for trading penny stocks. Don’t follow the crowd. Stick to your investment strategy. Market sentiment and trends are constantly moving up and down, often in a matter of seconds. So, don’t be afraid of volatility and inconsistency: that’s the way it works, after all. If you have done your homework, assessed the risks and understood your loss and borrowing limits, then any kind of market will be a great investment opportunity. Just keep calm, believe in yourself and don’t give up. Frank Owens Limited provides a broad range of professional financial advice to entrepreneurs and business managers with respect to the most appropriate steps in acquisition, disposition and funds sourcing, based on the present market conditions.